So in 2002, San Francisco got around to passing a ballot measure to seismically retrofit the water system. And in 2010, the San Francisco Public Utilities Commission started construction on a tunnel under the Bay that's intended to be able to deliver our drinking water, rain or shine or earthquake. 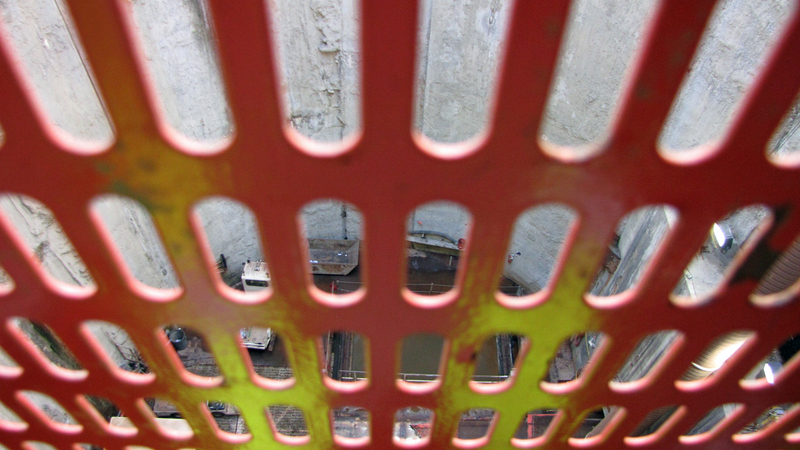 The $286 million tunnel is the first that's actually beneath the Bay; BART's Transbay Tube sits on the bottom of the Bay. 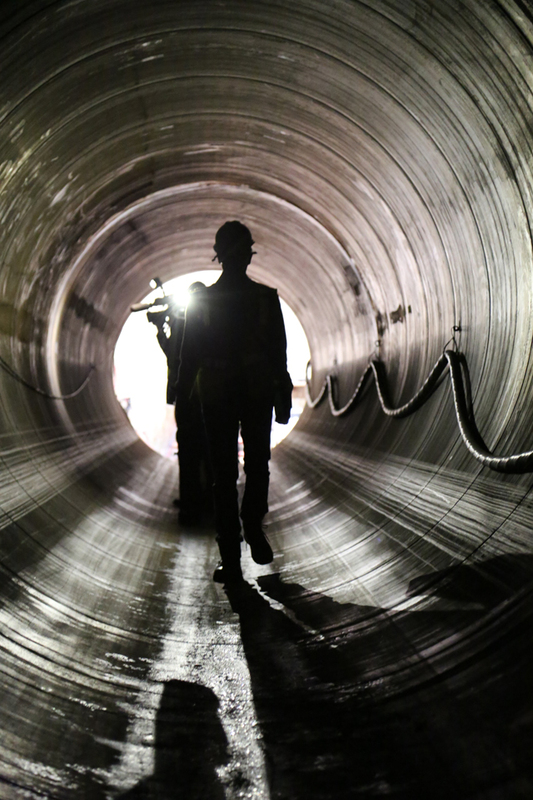 It's not quite finished, but to commemorate the earthquake anniversary, the SFPUC invited media down into the tunnel, to see the thing before it fills up with water from the Hetch Hetchy. 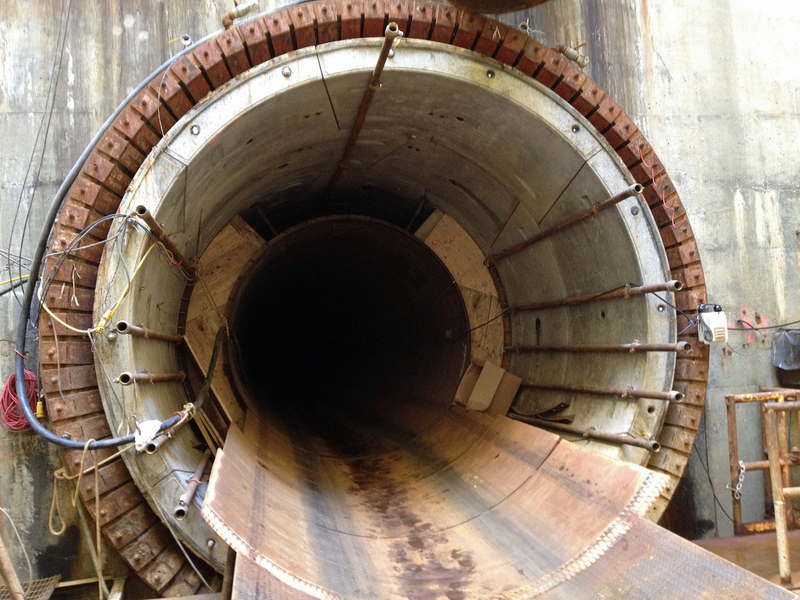 To dig the tunnel, the SFPUC brought in a $10 million custom-made tunnel-boring machine from Japan. Engineers here like to say the machine "eats dirt and spits out concrete tunnel." Driving the machine were miners who spent ten-hour work days 100 feet below daylight. 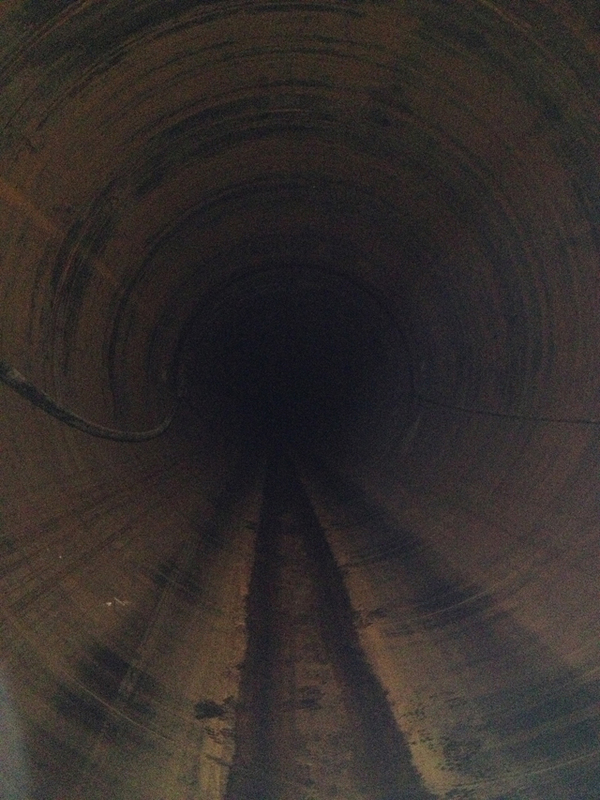 When they got to the other side of the tunnel, they were less than a quarter of an inch off target -- "well within the margin of error," says Program Director Julie Labonte.